David Bedingham, Hanno Kotze and Levin Muller struck centuries, as the second day of the University Sport South Africa A Week in Stellenbosch produced some thrilling action on Tuesday. Bedingham made 112 as the University of Stellenbosch (Maties) were massive 194-run winners over Central University of Technology (CUT), while Kotze and Muller shared in a supreme 310-run opening stand, as Nelson Mandela University (Madibaz B) crushed University of KwaZulu-Natal (UKZN) by 191 runs. Elsewhere, University of Western Cape (UWC) edged past Madibaz A with a one-wicket win, with victories also for University of Pretoria (Assupol Tuks), North West University (Pukke), University of Free State (Kovsies), University of Witwatersrand (Wits) and University of Fort Hare. The pick of the games, though, was between UWC and Madibaz A in section A, pool B. After winning the toss and batting first, the side from Port Elizabeth posted 210-7 thanks to a half-century fromm Joshua van Heerden (54). Luke Philander claimed 3/27 and then struck 19 during the chase, which was led by 58 from Zubayr Hamza. Still though, UWC were staring defeat in the face after they slipped to 175-9. It took an unbroken 36-run stand between Shabir Mallie (19) and number 11 Mihlali Mpongwana (15) to steer them over the line. It was the first victory of the group for the winners and left them second on the table. They are trailing Pukke, who ousted UCT by 38 runs following a low-scoring encounter in which 141 played 103. Ruan Haasbroek (3/10) and Jon Hinrichsen (3/22) were the star performers for the North West side. Assupol Tuks top section A, pool A after a second consecutive bonus-point win – this time by 125 runs over UJ after Jiveshan Pillay struck 64 and 4/32 from Gideon Peters. Maties had Bedingham’s century and 5/17 from bowler Brandon Brodell to thank for their win over CUT. Brad Morrison (4/22) and Motheo Sekgotho (3/10) shared seven wickets as Wits rolled over Walter Sisulu University by eight wickets to remain top of section B, pool A. They are followed by Kovsies after they overcame Tshwane University of Technology by 130 runs. 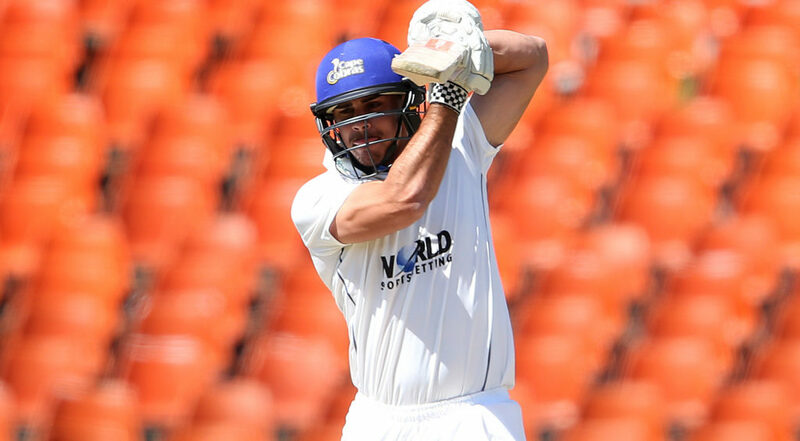 Key performers for UFS were Janko Dreyer (70), Beyers Swanepoel (67) and Raynard van Tonder (59), with Peet Jan du Plessis (4/22) shining with the ball. Finally, Fort Hare topped pool B in section B after Sango Mini (3/13) led them to a five-wicket win over North West University. The biggest partnership of the week so far came in the other game from the pool between Madibaz B and UKZN. Openers Kotze (145) and Muller (130) put on 310 for the first wicket as their side amassed 364-5. Their opponents were restricted to 173-9, with Joshua Kleu (2/13) the pick of the bowlers.